Granite® Ultramat is the latest addition to ArcelorMittal’s Granite® range of pre-painted steels for outdoor building applications. It has an ultra-modern organic coating and allows to form the most difficult shapes of roofing products, even at low temperatures. 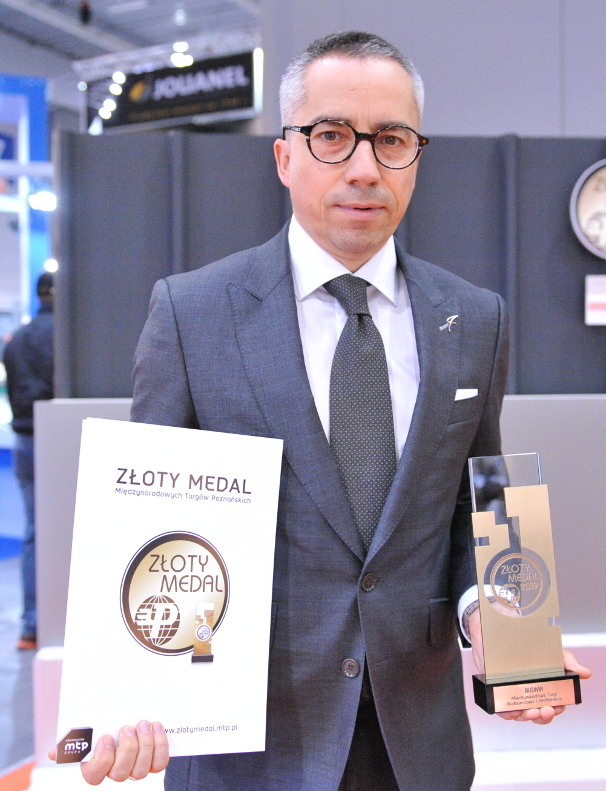 Manufactured in the Polish ArcelorMittal steelworks of Swietochlowice as well as in Eisehüttenstadt (Germany), it has just been awarded a MTP Gold Medal, one of the most recognizable awards on the Polish market. Flexible at low temperature: Granite® Ultramat withstands cold storage during winter while keeping its flexibility. Profiling in cold conditions has been drastically improved. Sustainable: as part of ArcelorMittal’s Nature range, Granite® Ultramat does not contain any harmful substances and is fully compliant with Europe’s REACH regulations. Furthermore, at the end of its lifecycle, Granite® Ultramat is 100% recyclable, just like all other steel products. Tomasz Plaskura is Chief Marketing Officer for Eastern Europe at ArcelorMittal Europe – Flat Products. He comments: "The high quality and flexible paint system of Granite® Ultramat outperforms classic roofing products in corrosion and UV resistance. Offered guarantees are of up to 20 years on non-perforation, and up to 15 years for non-delamination. This makes Granite® Ultramat not only an aesthetic, but also cost-effective and sustainable steel solution for roofs". The MTP Gold Medal is one of the most recognizable awards on the Polish market, which is granted after a thorough assessment of experts of innovative products of the highest quality, upon a number of criteria based on state-of-the art technologies. This year, from among many submitted applications, the Competition Jury chaired by prof. dr hab. Eng. Józef Jasiczak, director of the Institute of Building Structures, the Faculty of Civil Engineering and Environmental Engineering at the Poznan University of Technology, honoured 37 products submitted for the BUDMA Gold Medal competition. All awarded MTP Gold Medals are equivalent prizes.